I was happy when it was hinted at that we could be involved in the 2018 Vegetarian Food Fair in Hamilton. I had attended the 2017, 20th Anniversary event last August and was surprised I had never heard of it. It had attracted nearly a thousand people then and the organizers are hoping for a bigger event this year. 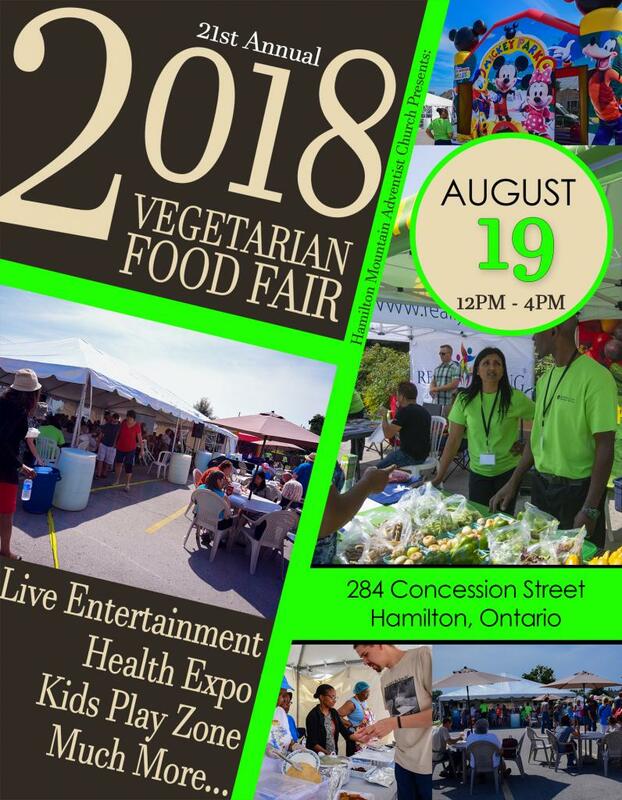 The Vegetarian Food fair is organized and managed by the Hamilton Mountain Seventh-day Adventist Church and the event will be held again in the church parking lot at 284 Concession Street. I was pleased that MiAgency.ca was asked to design this years poster. I will also be volunteering at the event as photographer and encourage everyone that like good food to come out on August 19th, 2018, from 12PM to 4PM. There will be great food of course and live entertainment, a kid zone, prizes and much more. Hope to see you there.